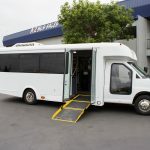 Articles Archives - A-Z Bus Sales Inc.
For over 50-years, low floor buses served passengers of all abilities. First introduced in Russia as a transit bus by the Lviv Bus Plant, the low floor bus quickly spread into and throughout Europe, transporting loading and offloading of elderly and disabled passengers easily and quickly, helping them maintain their sense of independence. Because of their popularity in Europe, the low floor bus idea spread to the United States. 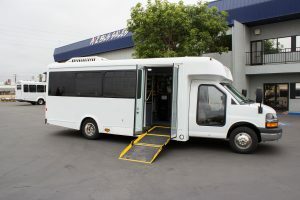 In the U.S., both large transit buses and low floor shuttle buses — such as Glaval and ARBOC — provide easy access for passengers in niche industries such as assisted living, retirement communities, parking facilities, medical, hospitality, and door-to-door paratransit services.